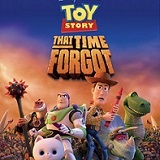 The latest Disney and Pixar animated short, Toy Story That Time Forgot, is now available on Blu-ray, DVD and Digital HD. 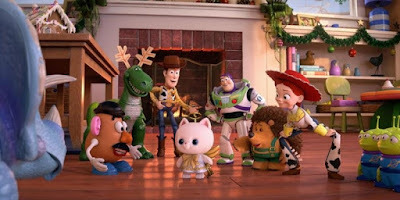 In the 22-minute short film, Woody, Buzz and the gang find themselves partnered with a group of delusional toys and must rely on Trixie, the triceratops, to help them get back to Bonnie’s room. 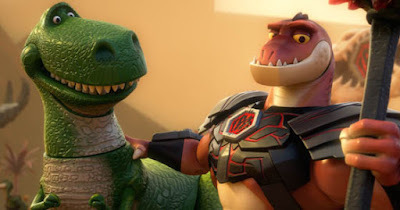 The film features the voice talent of Tom Hanks as Woody, Tim Allen as Buzz Lightyear, Kristen Schaal as Trixie, Kevin McKidd as Reptillus Maximus, Wallace Shawn as Rex, Timothy Dalton as Mr. Pricklepants, Don Rickles as Mr. Potato Head, and Joan Cusack as Jessie. Continuing the story line that took place after Toy Story 3 and the previous shorts, Toy Story That Time Forgot picks up at Christmastime, after Bonnie (Emily Hahn) has opened her presents. Despite the new presents, Bonnie's favorite toys are Woody (Tom Hanks), Buzz (Tim Allen), Jessie (Joan Cusack), Trixie (Kristen Schaal), and the rest of the gang. Bonnie and her family have gone to visit her friend Mason (R.C. Cope) to play with him and all of his new toys. Mason got quite a haul, as he got what appears to be the complete Battlesaurs collection, which includes a bunch of warrior dinosaurs, and a new game system complete with a VR helmet and game chair. Bonnie had originally planned to play with her toys with Mason, but Mason is only interested in his new videogame. After Bonnie tosses the toys aside to join Mason, Woody and the others venture out of her backpack to explore their new environment. It's not long before they are captured by the warlike Battlesaurs who are led by a power hungry cleric (director Steve Purcell) who orders them to fight each other in the Battlesaur arena. 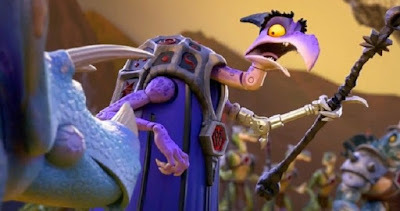 The Battlesaur army is led by Reptillus Maximus (Kevin McKidd) who has no idea he's a toy (much like Buzz Lightyear did), but he doesn't seem quite as militant as the cleric. Trixie tries to reason with him as he seems to be their only hope for survival, but they will have to overcome the cleric's machinations first. I've loved every Toy Story release, and this twenty-two minute cartoon is just as fun as the others. Like the other cartoons that followed Toy Story 3, each one has focused on different characters and this time Trixie gets the starring role. The messages embedded in the cartoon aren't as subtle as in previous cartoons, as this one extolls the value of playing with actual toys over videogames. I'm all for kids playing with toys, but I wish videogames would quit being the constant target that it is. That aside, this cartoon is fun and the vocal cast does their usual fantastic job. 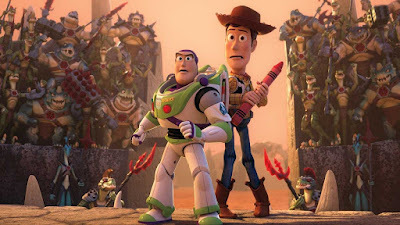 There's plenty of laughs and I hope that we will continue to get more of these cartoons to enjoy until Toy Story 4 comes out. This 1080p transfer looks as good as the other Toy Story releases with a very sharp looking presentation. The colors look bright and varied and accurately represented across the spectrum. Detail is sharp and really shows off the textures of the toys. You will be surprised at how much detail can be seen in the various toys as this transfer is uniformly excellent. Toy Story That Time Forgot's DTS-HD Master Audio 7.1 mix is also fantastic. The dialogue is clear and crisp and the music has been well integrated along with the various sound effects. There some nice atmospheric touches throughout and it adds a lot of immersion to the cartoon. The mix really picks up when the Battlesaurs sing their theme song which really livens it all up. Fans will be happy with this mix! For a short cartoon this disc offers a pretty good amount of extras. All of the extras are in high definition. Reptillus! - At a little of ten minutes long, this offers us the biggest behind the scenes look at the making of this cartoon. We learn about how the characters are designed, explored and expanded upon, the animation, and the voice acting. 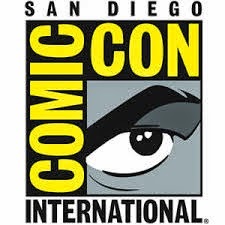 Toy Story Goes to Comic-Con - This is an except from when some of the cast went to Comic-Con. I missed this at Comic-Con so it's nice to see this even if it's just a glimpse of what happened. Karaoke: My Unexpected Friend - Aspiring singers have two choices to choose from: one that offers Reptillus singing and one where you sing. If you choose him singing then it will be the character doing the singing and the second one lets you do it. Battlesaurs Animated Opening - Here's the fake opening sequence for the Battlesaurs TV program. Deleted Scenes - Director Steve Purcell introduces this collection of deleted scenes that includes the following cuts: "Battlesaurs Christmas," "Prisoners of Bone," "SOS," "Trixie's Proposal," and "Light of Play." Audio Commentary - Despite the short length of this cartoon, Director Steve Purcell and Head of Story Derek Thompson provide a lot of insight into the making of this cartoon. 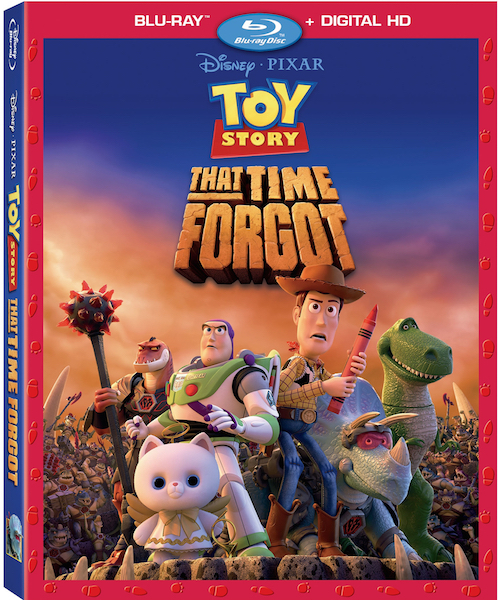 I love all of these Toy Story shorts, but I really wish that they would just release them all in one set since it seems kind of silly to expect buyers to pay the regular Blu-ray price for a twenty-two minute cartoon. The extras help but it still seems like it's a lot to ask of customers. The cartoon itself is a lot of fun and it's great to have these characters back along with the vocal cast. The Blu-ray offers a great presentation across the board as the video and audio look and sound incredible. The extras are pretty good too and they help add value to this set. If you're a fan of Toy Story, then this is a no brainer for you to pick up!